Hello freaks of the financial thing! As you can see on my Passive Income page, 13 companies -- yes that's a s***-load of businesses... -- chipped in for this month of September. It's a great month when you pass the 500$ bar. So reaching the 600$ line is simply... awesome. This month I managed to collect the exact sum of 617.01$. Katching! I have to underline some of the big contributions coming notably from Johnson and Johnson, Enbridge, Power Corporation, Suncor and Fortis. RIO CAN Real Estate (REI.UN) : I bought some more of it since it had dipped again. I bought 25 units at 23.72$ This adds 35.25$ to my annual dividend income. I recently found out (through the media) that the company will sell 100 properties worth about $2 billion. Some of the money will be used to repurchase RioCan trust units. What do you think of this September updates on companies of my portfolio? Any stocks you own or might like to own at some point? Hey Personal Financial Freaks! 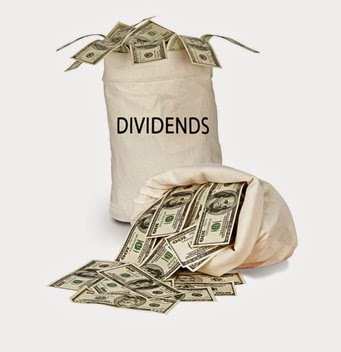 This is my sixth Dividend Income Summary for 2017. As you can see on my Passive Income page, 13 companies/ETF's chipped in for this month. This month I managed to collect the nice sum of 662.43$ It's a record of mine! • Johnson and Johnson (JNJ) : 145.88$ (The king of Kings). I made 5 buys in June. I invested in companies I own according to my strategy Some of them were pretty beat-up so I added a few to my existing tally. I finalized (it's an addiction!) my stake in Power Financial (PWF). I now own 300 shares of both PWF and Power Corp (POW.). The whole conglomerate is a little heavy at the moment in my portfolio, (almost 10%) but I'm confident both these stocks will do very well in the future, especially when interest rates go up. It will eventually. So for now, it's a hold strategy and I will no longer add any of these two stocks (I think so). I also added some Enbridge again this month. I now hold 150 shares of ENB. I like this stock and since it's fallen down a little bit lately because of oil prices I though I might as well make a move. It now represents a stake of 4% in my portfolio, but I wouldn't mind if it reaches 5-6%. Speaking of oil prices, another one of my stock was selling cheap (sort of). It's an old stock of mine, and I'm talking about Suncor (SU). I've got an average price per share of around 34$. So I didn't mind paying a little more (38$-39$) for a stock I have been owning since 8 years or so. I now hold 175 shares of SU and it provides me with 236.80$ in dividends annually. I've also added some Rio Can Real Estate (REI.UN). This is a fairly new addition in my portfolio. Since I first initiated this position the stock has been on the downside. That's always like that, isn't it! So I thought I would add some more when it went below 25$ (it now might go below 24$!). Rio Can REIT still remain a small player in my portfolio.